We hypothesized that fishes in short-hydroperiod wetlands display pulses in activity tied to seasonal flooding and drying, with relatively low activity during intervening periods. To evaluate this hypothesis, sampling devices that funnel fish into traps (drift fences) were used to investigate fish movement across the Everglades, U.S.A. Samples were collected at six sites in the Rocky Glades, a seasonally flooded karstic habitat located on the southeastern edge of the Everglades. 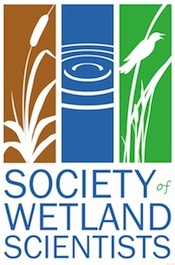 Four species that display distinct recovery patterns following drought in long-hydroperiod wetlands were studied: eastern mosquitofish (Gambusia holbrooki) and flagfish (Jordanella floridae) (rapid recovery); and bluefin killifish (Lucania goodei) and least killifish (Heterandria formosa) (slow recovery). Consistent with our hypothesized conceptual model, fishes increased movement soon after flooding (immigration period) and just before drying (emigration period), but decreased activity in the intervening foraging period. We also found that eastern mosquitofish and flagfish arrived earlier and showed stronger responses to hydrological variation than either least killifish or bluefin killifish. We concluded that these fishes actively colonize and escape ephemeral wetlands in response to flooding and drying, and display species-specific differences related to flooding and drying that reflect differences in dispersal ability. These results have important implications for Everglades fish metacommunity dynamics. 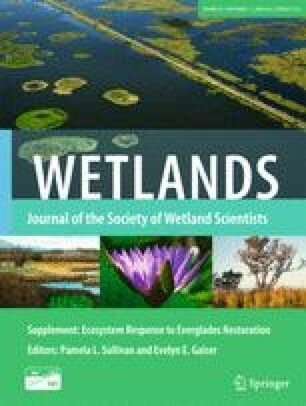 This publication was produced for a special issue devoted to investigating the ecological response of over 20 years of hydrologic restoration and active management in the Taylor Slough drainage of ENP. Support was provided by ENP, the Southeast Environmental Research Center, the Florida Coastal Everglades Long-Term Ecological Research program (National Science Foundation cooperative agreement #DBI-0620409), the Everglades Foundation, and the South Florida Water Management District. We greatly appreciate the help of technicians who built the arrays, tested sampling gear, and processed samples: V. Foster, R. Kobza, D. Padilla, X. Pagan, D. Riggs, H. Waddle, A. Martin, B. Shamblin, and R. Urguelles. B. Zepp saw us through the ENP permit process and Dr. S. Howington supported our work as NPS CESI coordinator and project administrator. D. Elswick and C. Fadeley of USGS helped with budget and personnel needs. WFL was supported in part by funds from the Critical Ecosystem Studies Initiative (CESI) Interagency Cooperative Agreement between USGS and NPS # 5280-7-9023. CWG and JCT were supported in part by Critical Ecosystem Studies Initiative (CESI) Cooperative Agreement H50000 06 0104, tasks J5284 06 0023 and J5284 06 0020 between FIU and the National Park Service while working on this project.